Redecorating your bathroom? Sending someone away to college? Add your own personal touch by personalizing this 100% Polyester Shower Curtain! Not only would this be a great gift for a college student, this is perfect for adding a little bit of your favorite designs and styles to your home. The field for Democratic Presidential candidates seems to be very large. But there's only one candidate who I will celebrate while showering: Beto O'Rourke. 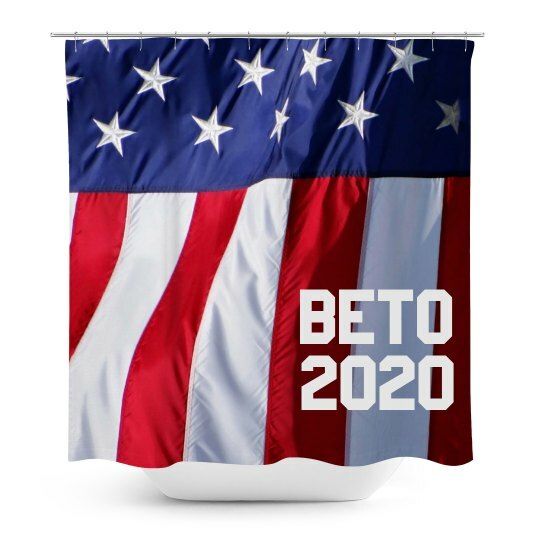 That's why I made this Beto 2020 Shower Curtain. We're two years out, but this way I can be reminded every day of our goal: get Beto into the White House in 2020. It's a giant reminder, hanging prominently in my bathroom.